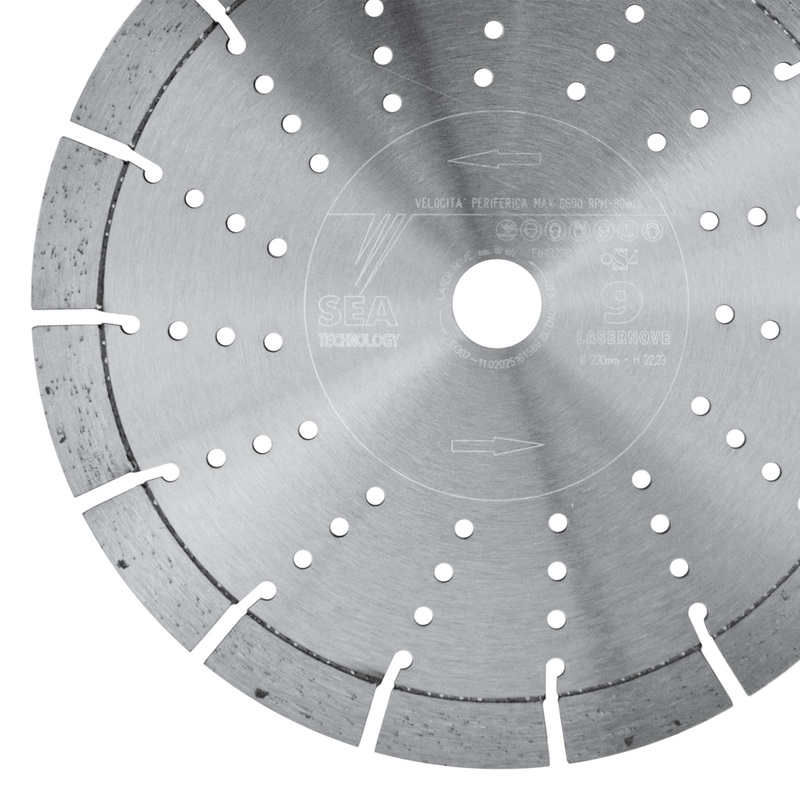 Top of the range among universal segmented blades. In this disc the segments height of 17mm and the “forging” technology are the main specifications that allow this diamond tool to be the most complete and to have the highest performance. In one single product we could concentrate very high cutting speed, very high cutting life together with a very high level of safety even with 17mm segments.